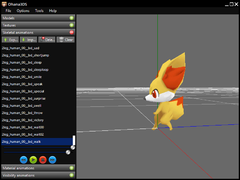 Since the release of Pokémon Super Mystery Dungeon, it has been unknown how a proprietary archive file called FARC linked filenames to files. It functions like a hash table, where the game gets a filename somehow, does something to hash the filename, then corresponds that with a file. Until recently, the somehow and something have been unknown. Editing files in these archives required either putting up with the lack of filenames, or somehow knowing which filenames corresponded to which hashes. 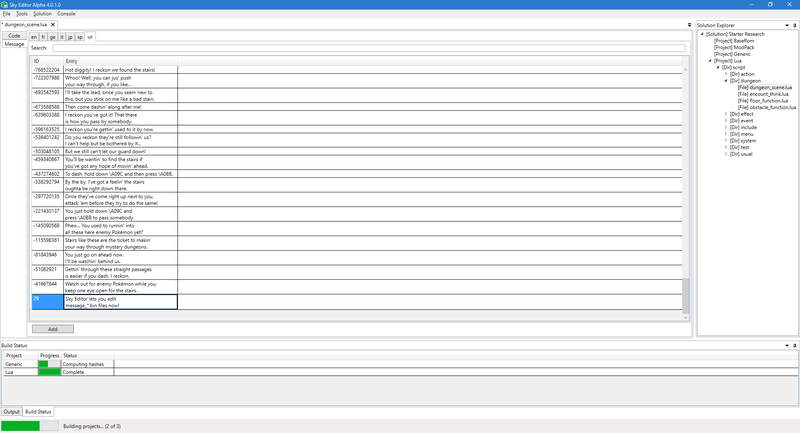 A little over a month ago, I discovered the something was a simple CRC32 hash. While I previously tried this hashing algorithm, I was unaware that in the files I was testing, the somehow involved appending a ".bin" file extension to the end of a file. 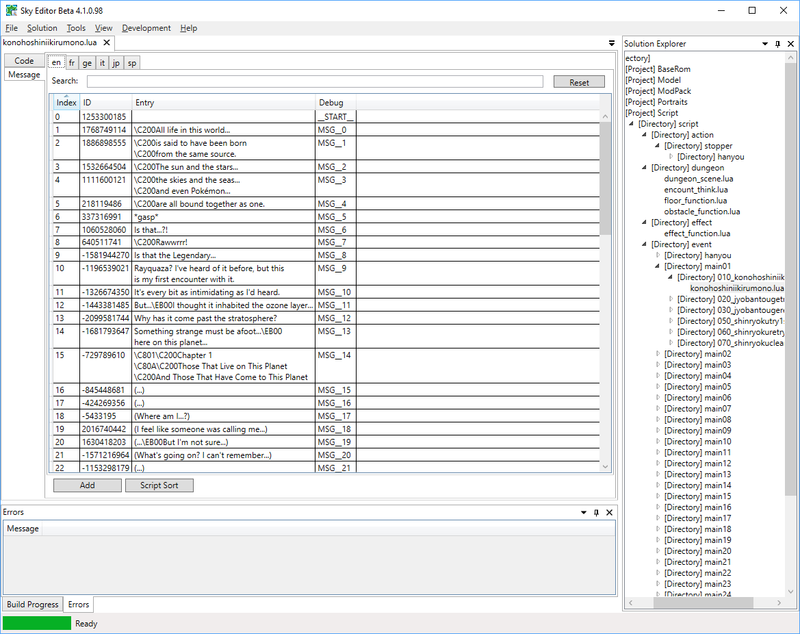 While it is not possible to determine the filenames of files, it is possible to infer filenames from other parts of the game, and use coding and algorithms to match them to the appropriate file. 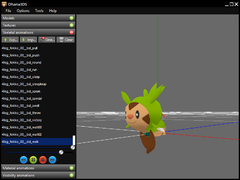 Knowing how to do this makes it possible to do so much more with Pokémon Super Mystery Dungeon. 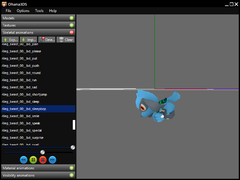 The first practical application of this was updating Sky Editor's starter editing project to replace placeholder Pokémon portraits with the default emotion. This makes it so that when one plays the game as a non-standard starter, the game no longer shows emotions like surprised without the face of that Pokémon. 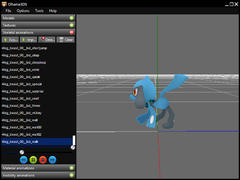 While seeing this in-game will take more work, I've have a new build of Sky Editor that comes with support for extracting pokemon_graphic.bin with all the filenames. 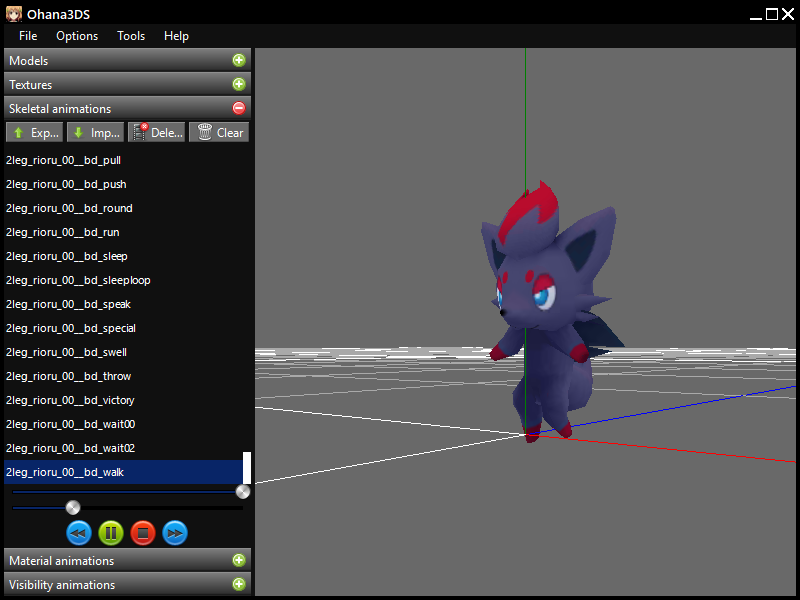 This is only useful for researchers or those who want to play around with models with Ohana3DS or SPICA or something. 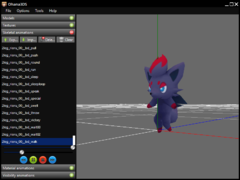 Basic instructions can be found here, and look for the new PsmdPokemonGraphicsProject project, which can repack the pokemon_graphic.bin file for anyone who's brave enough to try manual model edits. Download it here. [Edit] Updated the build link to fix a memory leak. I don't think I mentioned it before, but you'll need 1-2 GB of free RAM because using all the RAM makes things go like 10x faster. I didn't do any actual measurements, but that's what it feels like at least.